Over 74,000 new materials from Florida’s Sunshine State Digital Network—featuring items from Florida State University, University of Miami, and Florida International University—are now discoverable in the Digital Public Library of America. 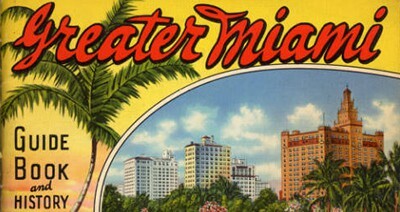 The collections offer rich content documenting Florida’s unique culture, landscape, and people, including materials representing Cuban and Latin American culture. The Institute of Museum and Library Services is accepting applications for the second cycle of the FY 2018 National Leadership Grants for Libraries (NLG-L) and Laura Bush 21st Century Librarian Program (LB21) grant. 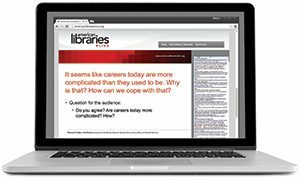 The NLG-L program invests in projects that address challenges faced by the library and archive fields to generate new tools, research findings, or models. The LB21 program supports professional development and training projects for libraries and archives. Apply by February 1. The story of Max the cat has already been written—simply, succinctly, and perfectly. This story, printed and taped onto a door of the Macalester College library in Saint Paul, Minnesota, might have ended there. But it got tweeted. It also got Tumblr-ed. And Reddit-ed. 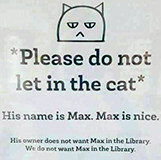 Having been shooed away from the library, Max sprinted straight toward internet fame. Many literary and feline puns were proffered. But like all cat tales, Max has a backstory. This is it. 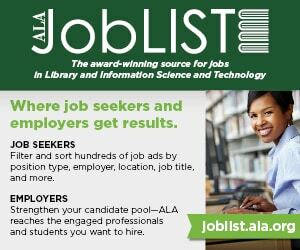 ALA Publishing eLearning Solutions will host a new 90-minute workshop, “Become a Power Searcher: 10 Secrets to Using Internet Search Tools Effectively” with Nicole Hennig, on January 24. Hennig will show you how to search vast amounts of information to locate exactly what you’re looking for, including websites, news, images, videos, statistics, maps, books, definitions, and translations. Relentless cuts to the UK public library service are turning the sector into a “war zone” and making it difficult to recruit staff, figures across the library profession have heard. However, librarians are fighting hard to keep it alive. Speaking at a roundtable discussion at the Palace of Westminster on November 27 about the future of libraries, Sue Wills, library services manager at Cambridgeshire County Council, described the realities of working in the public library sector. The British Library has launched its first fully bilingual web resource, providing free access to its spectacular collection of Hebrew manuscripts to researchers worldwide. The Polonsky Foundation Catalogue of Digitised Hebrew Manuscripts presents scrolls, codices, and charters digitized in full, along with explanatory articles, videos, and digital tools, offering scholars and the wider public alike the opportunity to explore this world-class collection. A lawsuit was filed November 28 challenging the Escondido, California, city council’s decision to outsource the public library’s staffing and services to Maryland-based Library Systems & Services LLC—a change that is scheduled to go into effect early next year. Filed on behalf of longtime city residents Roy and Mary Garrett, the lawsuit contends state law dictates that public libraries “shall be managed by a board of library trustees” and therefore the council’s decision should be rescinded.